Stay with Maestro Tours at the beautiful Grand Traverse Resort, and experience the majestic Sleeping Bear Dunes. 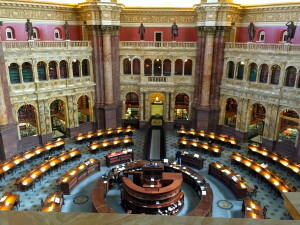 According to ABC News it is the “most beautiful place in America”. Then step back Somewhere in Time like Christopher Reeve and Jane Seymour did at the historic Grand Hotel on Mackinac Island. From Mount Vernon, to Independence Hall, and Trinity Church, we will explore all the sights in Washington D.C., Philadelphia, and New York City that Nicolas Cage visited on his way to discovering the National Treasures. It’s being hailed as one of the best Broadway seasons in years featuring a star-studded line-up of new shows and superstar leading actors and actresses. 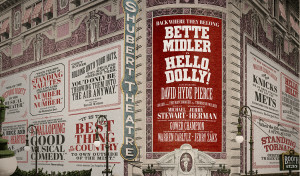 Come along with Maestro Tours on the Broadway Showtime Tour, July 18-21 to see three shows including Bette Midler and David Hyde Pierce in Hello Dolly, and War Paint featuring two, two-time Tony Award winners, Patti Lupone and Christine Ebersole. With Maestro Tours you’ve got a front row seat to Broadway entertainment and almost everything is within walking distance from our Times Square hotel. Experience America’s True Grand Hotel, located on northern Michigan’s Mackinac Island. Enjoy the unforgettable views from a rocking chair overlooking the Straits of Mackinac from the world’s longest porch. You will step back Somewhere in Time like Christopher Reeve and Jane Seymour did at this historic venue. See three great shows including Hello, Dolly starring three-time Tony winner Bernadette Peters and Tony-nominated Victor Garber. Back for the first time in twenty-five years My Fair Lady and one of the funniest plays on Broadway in years The Play Goes Wrong. 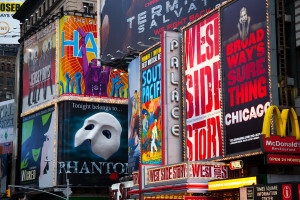 With Maestro Tours you’ve got a front-row seat on The Great White Way for the best of Broadway and almost everything is within walking distance from our Times Square hotel. Have your passport ready and join Maestro Tours on a six-day tour of Ottawa, Quebec City, and Montreal, Canada. From the Café de Paris in Old Quebec to the Byward Market in Ottawa, you will dine at a wide variety of restaurants. Tour the Parliament Building, witness the Changing of the Guard, and visit the beautiful Notre Dame Basilica in Montreal. Enjoy all this and more on a wonderful trip to Canada. 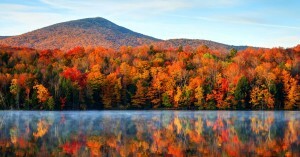 You will want to travel year after year to New England to see the portrait that God paints in the Spectacular Fall Color of New Hampshire and Vermont. From the Green Mountains of Vermont to the White Mountains of New Hampshire, the scenery is incredible and it never gets old! You will climb aboard the Lake Winnipesaukee Railroad for a scenic dinner through the White Mountains, spend time at Lake Squam-where On Golden Pond was filmed, and take a gondola ride to have lunch on top of the White Mountains in New Hampshire. In Vermont you’ll visit the charming town of Stowe and eat lunch at the Trapp Family Lodge before touring the Ben & Jerry’s Ice Cream Factory. This tour will sell out every year so don’t delay to sign-up!